I'm a former physicist, a lifelong runner, and (most of all, these days) a science journalist. In the pages of Runner's World, my "Fast Lane" column focuses on training for peak performance -- workouts, racing strategies, and other battle-tested tips to bring down your PRs. You can read more about my background at my personal website if you're interested. In brief, I started my career as a physicist doing postdoctoral research with the National Security Agency, and competed as a national-class runner for Canada for a decade. In my late 20s, I switched from scientist to science journalist; since then, I've won a National Magazine Award and my writing has appeared in the New York Times, the Washington Post, Outside, Popular Mechanics (where I'm a contributing editor), Men's Journal, Bicycling, and elsewhere. You can read some examples of my work here. My latest book is called Which Comes First, Cardio or Weights? Fitness Myths, Training Truths and Other Surprising Discoveries from the Science of Exercise. Yes, it's a mouthful. The premise is pretty simple: it takes 111 common (and uncommon) questions about fitness -- e.g. Should I exercise when I'm sick? And what's the actual difference between running on a treadmill, running on an elliptical trainer, and running outside? -- and digs up the current state of peer-reviewed knowledge. It's not a textbook: the aim is to make the research accessible to anyone who's interested, from total exercise beginners to competitive athletes. To keep up with the latest Sweat Science posts, please follow me on Twitter or check out the Sweat Science Facebook page. Thanks for following! Dr. Stuart M. McGill is a professor of spine biomechanics at the University of Waterloo (Waterloo, ON, Canada). His advice is often sought by governments, corporations, legal experts and elite athletes and teams from around the world. 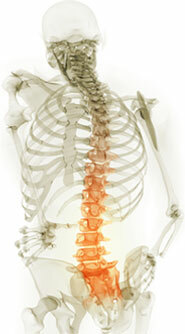 Difficult back cases are regularly referred to him for consultation. Any product associated with this website has been tested in Dr. McGill's laboratory at the University of Waterloo, ON, Canada. Tero Isokauppila, is the founder of Four Sigmatic Foods, and he's on a mission to make mushrooms more accessible to everyone. Tero founded Four Sigmatic in 2012 and is now sold in over 25 countries. Four Sigmatic's functional mushroom coffees, hot cocoas and elixirs are delicious and I personally use them on the daily! Tero is a wealth of knowledge around health and nutrition which makes it ironic that in this discussion we get into the idea of over-reading and the process of creating genuine ideas.